Hundreds of the nation’s top artists and crafters display and sell their handcrafted works. 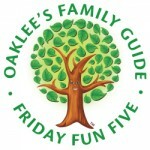 Consistently voted one of the top 100 shows in the Country by Sunshine Artist Magazine. Adults $9; Seniors $8; Children Under 10 are Free. Visit our website for more information at www.hpifestivals.com. 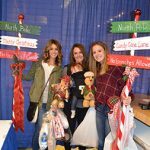 Come take your FREE family/children’s photo with Santa while enjoying a cup of hot chocolate and checking out the latest Christmas decorating trends for the season. 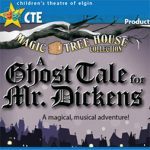 Children’s Theatre of Elgin presents A Ghost Tale for Mr. Dickens Jr., a full-scale, holiday musical the whole family can enjoy! 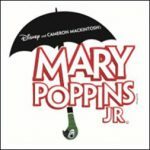 A magical tree house transports Jack and Annie back in time to help the legendary author, Charles Dickens. 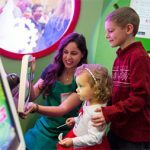 In partnership with HGTV, Santa HQ invites families to experience the wonder of Santa’s workshop in the digital and social media age. In addition to a custom photo opportunity with Santa Claus. Boarding is only done at our East Troy Depot and advance reservations are recommended. 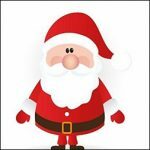 Child tickets are needed for those children old enough to receive a gift.